BEIJING, Jan. 15 (Xinhua) -- Thousands of years ago, China envisaged a world where people live in perfect harmony and are as dear to one another as family. Today, President Xi Jinping has given the world a new name -- a community of common destiny. Since Xi first proposed the concept in late 2012, it has gone on to shape China's approach to global governance, giving rise to proposals and measures to support growth for all. There is the new type of international relations featuring win-win cooperation, and the Belt and Road Initiative set out to better connect the world. Xi has also come up with a new security concept that is designed to pool efforts to build universal, sustainable and comprehensive security. "The concept of a community of common destiny transcends all sorts of differences in human society and targets greatest possible benefits for all," said Tang Qifang, a researcher with the China Institute of International Studies. At the United Nations Office at Geneva on Jan. 18, Xi will deliver a keynote speech on building such a community, sending the message again that China is fully committed to creating "one home for all of mankind," as Xi called it in his 2017 New Year speech. "This is a very advanced notion born out of changing world conditions, and an embodiment of the Chinese aspiration to share peace and development with the world," Tang said. In his first diplomatic activity as China's top leader in late 2012, Xi shared his perception that "the world has increasingly grown into a community where one's destiny is interwoven with that of another." The concept came up time and again in his speeches over the years that followed. According to Xi's vision, our future lies in the hands of all countries -- equally -- and all nations should pursue dialogue rather than confrontation with one another, and forge partnerships instead of alliances. China is working to expand convergence of interests with more and more countries, such as Pakistan, Laos and Cambodia, and form communities of common destiny on a bilateral basis. It has also approached nations in Southeast Asia, Africa, Europe, Latin America and the Middle East to develop similar communities by pushing forward win-win cooperation. In the course of pursuing equal partnerships, China has actively participated in reforming the global governance system by addressing unreasonable and unjust aspects of the system. While addressing the Business 20 (B20) summit in Hangzhou last year, Xi highlighted equitable and efficient global financial governance, open and transparent global trade and investment governance, green and low-carbon global energy governance, as well as inclusive and interconnected global development governance, as priorities for global economic governance, showcasing China's commitment to contributing its wisdom to the world economic growth. Also as part of its efforts in this regard, China champions better representation and say of developing countries in the international governance system, calling for the equal participation of all countries in making rules. "China's vote in the United Nations will always belong to developing countries," Xi told the general debate of the 70th session of the UN General Assembly in September 2015. He also advocated valuing both righteousness and interests in shaping international relations, saying that righteousness comes first. This has become an important principle guiding China's cooperation with other developing nations, and the rationale for China's rush to the aid of other countries at times of difficulties. China was there to help African countries during the Ebola outbreak, to help save lives after earthquakes in Nepal and Ecuador, and to alleviate the water shortage in the Maldives. "In Xi Jinping, and messages he has delivered, the world sees a China that embraces its responsibilities, stands by developing countries through thick and thin, and participates in setting international rules and reforming the global governance system," said Tang Zhimin, director of China ASEAN studies at Thailand's Panyapiwat Institute of Management. In the community of common destiny, the development of one country is closely intertwined with that of other countries. "China will always work to contribute to global development," Xi said during the UN general debate, welcoming other countries to get on board China's express train of development. "Development for all is development for real." The Belt and Road Initiative was proposed in this spirit, as was the Asian Infrastructure Investment Bank (AIIB), the South-South Cooperation Fund, and increased investment by China in the world's least developed countries. The AIIB has allocated loans totaling 1.73 billion U.S. dollars in nine infrastructure projects across seven countries since it started operating in January 2016. Connecting some 60 countries, the Belt and Road Initiative has been aligned with many national and regional development strategies, bringing forth more and more cooperative projects, including railways, roads and ports. The Initiative will gain greater popularity because "in it, the interests of many parties converge and with it, the common development of mankind will be promoted," said Cui Hongjian, director of the department of European studies at the China Institute of International Studies. In addition to these development efforts, China has placed great emphasis on creating a safer world to make sustainable development possible, evident in its proposed solutions to risks and conflicts, and increased support for UN peace efforts. In 2015, Xi promoted a concept of common, comprehensive, cooperative and sustainable security to tackle challenges. "No country can single-handedly seek absolute security for itself, and neither can it gain stability from unrest in other countries," he said. China does not pay lip service to the cause of peace. It takes action. Currently, nearly 2,500 Chinese military personnel are involved in nine UN peacekeeping operations. From 2016 to 2018, China will account for 10.2 percent of the UN Peacekeeping assessed contributions. In 26 years of involvement in peacekeeping missions, China has lost 13 soldiers. With its constructive proposals and active participation in peacekeeping operations, China has contributed greatly to promoting world peace and multilateralism, said Zhu Shuai, a researcher at the China Center for Information Industry Development. "China has shown to the world that as a responsible country, it will continue efforts toward the goal of achieving common development for mankind," Zhu said. Good afternoon! I am so glad to have all of you with us here in Hangzhou. The G20 Summit will begin tomorrow, an event much anticipated by the international community as well as the business community, think tanks, and the labor, women and youth organizations. And all of us share one and the same goal, that is, to make the Hangzhou Summit deliver fruitful outcomes. Hangzhou is a renowned historical and cultural city and a center of business and trade in China. Famous for Bai Juyi, a leading Chinese poet in the Tang Dynasty and Su Dongpo, a popular poet in the Song Dynasty who spent time in Hangzhou, as well as the West Lake and the Grand Canal, Hangzhou has a fascinating history and rich and enchanting cultural heritage. Hangzhou is also an innovative and vibrant city with booming e-commerce. Just click the mouse in Hangzhou, and you connect the whole world. Hangzhou is also a leader in ecological conservation. Its green hills and clear lakes and rivers delight the eye on sunny days and present a special view on rainy days. Hangzhou is imbued with a charm unique to the south of the Yangtze River that has been fostered over many generations. I spent six years working in Zhejiang Province and was personally involved in its development endeavor. So I am familiar with everything here, its land and its people. In China, there are many cities like Hangzhou which have gone through great changes and achieved tremendous development over the decades. Millions of ordinary Chinese families have changed their lives through hard work. When added up, these small changes have become a powerful force driving China’s development and progress. What we see here in Hangzhou showcases what has been achieved in the great course of reform and opening-up China has embarked upon. ― This is a course of blazing a new trail. Modernizing a big country with a population of more than 1.3 billion is an endeavor never undertaken in the history of mankind, and this means China must pursue its own path of development. What we have done is, as a Chinese saying puts it, “crossing the river by feeling for stones”. We have deepened reform and opening-up, broken new ground and forged ahead, and established and developed socialism with distinctive Chinese features. ― This is a course of delivering tangible outcomes. We have pursued economic development as the top priority and never slackened our efforts. We have moved with the times and taken bold initiatives. Thanks to our perseverance, resolve and dedication, and the spirit of driving the nail, we have succeeded in turning China into the world’s second biggest economy, the biggest trader of goods and the third largest direct overseas investor, and lifted China’s per capita GDP to close to 8,000 US dollars. ― This is a course of achieving common prosperity. Development is for the people; it should be pursued by the people and its outcomes should be shared by the people. This is what China’s reform, opening-up and socialist modernization drive are all about. Thanks to this reform and opening-up endeavor, China has lifted over 700 million people out of poverty and significantly made life better for its 1.3 billion-plus people. In pursuing development, we have accomplished just in a few decades what has taken other countries several hundred years to achieve. ― This is a course of China and the world embracing each other. We have pursued an independent foreign policy of peace and a fundamental policy of opening-up. We have endeavored to develop in an open environment, starting by introducing large scale overseas investment and then going global with big strides. We have been actively involved in building a fairer and more equitable international order. China’s interaction with the outside world has deepened. And indeed, we have friends all over the world. Thirty-eight years of reform and opening-up have unfolded rapidly. Today, as China’s economy grows in size and its cooperation with the world deepens, the prospect of China’s economy has drawn keen international attention. Many people wonder whether China can maintain sustainable and steady growth, whether China can continue its reform and opening-up, and whether China can avoid falling into the “middle income trap”. Actions speak louder than words. China has answered these questions with actions. Early this year, China drew up the outlines of the 13th five-year plan for economic and social development. These outlines call for implementing the vision of innovative, coordinated, green, open and shared development, addressing acute challenges of uneven, uncoordinated and unsustainable development, and ultimately achieving a moderately prosperous society in all respects. China has reached a new historical starting point. It is a new starting point for China to deepen reform across the board and foster new drivers of economic and social development. It is a new starting point for China to adapt its economy to a new normal and transform its growth model. 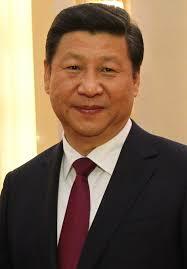 It is a new starting point for China to further integrate itself into the world and open itself wider to the world. We have the confidence and ability to maintain medium-high rate of growth and deliver more development opportunities to the world while ensuring our own development. ― Proceeding from this new starting point, we will steadfastly deepen reform in an all-round way and open up brighter prospects of development. China’s economic development has entered a new normal, a stage it cannot bypass if China is to upgrade its economy and make it better structured. Reform is crucial to maintaining medium-high rate of growth under the new normal. Sticking to convention will get us nowhere. Fear to advance will only result in losing the opportunity. China’s goal of reform has been set and we will not deviate from it. China will take sure and firm steps in advancing reform and will not slow down its pace. China’s reform has entered the deep water zone where tough challenges must be met. We have the resolve to make painful self-adjustments and tackle problems that have built up over many years, particularly underlying issues and entrenched interests and carry reform through to the end. We will continue to carry out supply-side structural reform, resolve major problems in economic development and improve the performance of the supply system by optimizing factors allocation and adjusting industrial structure. With these efforts, we can energize the market and achieve coordinated development. We will continue to explore new institutional mechanism, break through the resistance of vested interests, exercise law-based governance and better leverage both the decisive role of the market in resource allocation and the role of the government. ― Proceeding from the new starting point, we will pursue an innovation-driven development strategy to create stronger growth drivers. Scientific and technological innovation holds the key to development. We are keenly aware that many sectors of China’s economy are not strong or competitive enough despite their big sizes. Over the years, they have depended on input of resources, capital and labor force to achieve growth and expand scale. But this model is no longer sustainable. China now faces the challenging task of changing its growth drivers and growth model and adjusting its economic structure. To make China an innovative country and a leader in science and technology is what China must do now in pursuing development. We are implementing the innovation-driven development strategy so as to leverage the role of innovation as the primary growth driver and make growth quality based rather than quantity based. We will promote all-dimensional, multi-tiered and wide-ranging changes in principles guiding development, institutional structures and business models so as to bring about a fundamental transformation of the forces driving development and create new impetus for it. We will strive to make breakthroughs in major projects and priority areas and take the lead in undertaking major international scientific programs and projects. We will conduct research on and resolve pressing scientific and technological issues holding back economic and industrial development. We will speed up the commercialization of R&D achievements to meet the need of shifting the growth model, adjusting economic structure, building a modern industrial system, fostering strategic emerging industries and developing a modern service industry. In short, we aim to move our industries and products up to the medium-high end of the value chain and create more innovation-driven growth areas with first-mover advantages that will lead development. ― Proceeding from the new starting point, we will promote green development to achieve better economic performance. I have said for many times that green mountains and clear water are as good as mountains of gold and silver. To protect the environment is to protect productivity, and to improve the environment is to boost productivity. This simple fact is increasingly recognized by people. We will unwaveringly pursue a strategy of sustainable development and stay committed to green, low-carbon and circular development and China’s fundamental policy of conserving resources and protecting the environment. In promoting green development, we also aim to address climate change and overcapacity. In the next five years, China’s water and energy consumption as well as CO2emission per unit of GDP will be cut down by 23%, 15% and 18% respectively. We will make China a beautiful country with blue sky, green vegetation and clear rivers, so that the people will enjoy life in a livable environment and the ecological benefits created by economic development. Starting from 2016, we have been vigorously advancing supply-side structural reform and taking the initiative to adjust the relationship between supply and demand. We will cut down production capacity of crude steel by another 100 million to 150 million tons in the next five years, close more coal mines with production capacity of around 500 million tons and cut production capacity of around 500 million tons through coal mine restructuring in three to five years. This is an initiative that we are taking to cut excess capacity, adjust the economic structure and pursue steady growth so as to sustain long-term development. China has taken the most robust and solid measures in cutting excess capacity and we will honor our commitment with actions. ― Proceeding from the new starting point, we will promote equity and sharing of development outcomes to deliver more benefits to the people. The people are the foundation of a country and only when the people lead a good life can the country thrive. We need to be people-oriented, a principle that we should follow in everything we do in advancing economic and social development. We will meet the people’s aspirations for a better life, raise their living standards and the quality of their lives, improve the public services system and enlarge the middle-income group. In particular, we will provide stronger and more targeted support to those living in difficulty, so that the over 57 million poor rural population below the current poverty line will all be lifted out of poverty and poverty will be alleviated in all poor counties by 2020. Since the beginning of reform and opening-up, China has lifted more than 700 million people out of poverty which accounted for over 70% of the global population living in poverty, thus making significant contribution to poverty reduction worldwide. And we will continue to contribute to the global fight against poverty. With more attention paid to equity and fairness, we will make the pie bigger and ensure that people get a fair share of it. We will resolve the most pressing problems affecting the immediate interests of the people to their satisfaction. ― Proceeding from the new starting point, we will open up wider to achieve greater mutual benefit and win-win outcomes. To pursue a win-win strategy of opening-up and open up China in a more comprehensive, profound and diversified way is a strategic choice of ours. China’s opening-up will not stall, still less will it reverse course. We will continue to be fully involved in economic globalization and support the multilateral trading regime. We will expand access for foreign investment, facilitate such investment to promote fair and open competition and create a sound business environment. We will also accelerate negotiation on FTAs and investment treaties with relevant countries and the development of high-standard pilot free trade zones in China. While carrying out market-based reform of the RMB exchange rate in an orderly manner and phasing in the opening of domestic capital market, we will continue efforts to make the RMB an international currency and further internationalize China’s financial sector. China’s development has benefited from the international community, and we are ready to provide more public goods to the international community. I have proposed the initiative of building the Silk Road Economic Belt and the 21st Century Maritime Silk Road to share China’s development opportunities with countries along the Belt and Road and achieve common prosperity. Major progress has been made in launching key projects and building the economic corridors of the Silk Road Economic Belt, and the building of the 21st Century Maritime Silk Road is well underway. The Asian Infrastructure Investment Bank initiated by China has already started its positive role in regional infrastructure development. Here, I wish to stress that the new mechanisms and initiatives launched by China are not intended to reinvent the wheels or target any other country. Rather, they aim to complement and improve the current international mechanisms to achieve win-win cooperation and common development. China’s opening drive is not a one-man show. Rather, it is an invitation open to all. It is a pursuit not to establish China’s own sphere of influence, but to support common development of all countries. It is meant to build not China’s own backyard garden, but a garden shared by all countries. We are firm in our resolve to implement the above-mentioned reform and development measures; and they have indeed worked. In the first half of this year, China’s GDP grew by 6.7%, its industrial upgrading and structural adjustment picked up pace, the final consumption expenditure contributed 73.4% to GDP, and the added value of the tertiary industry took up 54.1% of GDP. Household income grew steadily, and 7.17 million urban jobs were created. We have reasons to believe that China will embrace even better prospects and make still greater contribution to the world. The world economy is now in profound adjustments and moving along a twisted path to recovery. It stands at a crucial juncture where new growth drivers are taking the place of old ones. The dynamism provided by the last round of scientific and industrial revolution is waning while new impetus for growth is still in the making. Currently, protectionism is rising; global trade and investment are sluggish; the multilateral trading regime faces bottlenecks in development, and the emergence of various regional trade arrangements have led to fragmentation of rules. Complex geopolitical factors and regional hot-spot issues as well as global challenges such as political and security conflicts and turmoil, refugee crisis, climate change and terrorism have all affected the world economy with consequences that cannot be overlooked. Against such complex situation as well as risks and challenges facing the world economy, the international community has high expectations on the G20 and the Hangzhou Summit. At the G20 Antalya Summit last year, I proposed that we make an accurate assessment of the health of the world economy and give right prescriptions. China will work with other parties to ensure that the Hangzhou Summit comes up with an integrated prescription to address both the symptoms and root causes so that the world economy could move along a path of strong, sustainable, balanced and inclusive growth. First, we need to build an innovative world economy to generate new drivers of growth. Innovation holds the key to fundamentally unleashing the growth potential. The new round of scientific and industrial revolution with Internet at its core is gathering momentum, and new technologies such as artificial intelligence and virtual reality are developing by leaps and bounds. The combination of the virtual economy and the real economy will bring revolutionary changes to our way of work and way of life. Such changes will not take place overnight or be problem-free. They require all countries to work together to maximize and quicken their positive effects while minimizing the potential negative impacts. China has made “breaking a new path for growth” one of the major agenda items of the Hangzhou Summit and has worked for the formulation of a G20 Blueprint on Innovative Growth. What we want to achieve is to seek impetus through innovation and vitality through reform. We need to seize the historic opportunity presented by innovation, new scientific and technological revolution, industrial transformation and digital economy to increase medium- and long-term growth potential of the world economy. This will be the first time that the G20 takes action on innovation. It is important for us to pool together the strength of innovation-oriented policies of individual countries and make sure that our action is guided with conceptual consensus, and implemented according to concrete action plans with sufficient institutional guarantee. In light of the pronounced issue of lackluster global economic growth, we need to innovate our macroeconomic policies and effectively combine fiscal and monetary policies with structural reform policies. Second, we need to build an open world economy to expand the scope of development. The path of world economic development shows that openness brings progress and isolation leads to backwardness. To repeat the beggar-thy-neighbor approach will not help any country get out of the crisis or recession. It only narrows the space for common development in the world economy and will lead to a “lose-lose” scenario. According to the teaching of Chinese classics, “The governance of a country should be based on simple customs procedures, improved infrastructure, convenience for business transactions and preferential agricultural policies.” What it implies is the importance of building an open world economy. China has put trade and investment high on the G20 agenda. We support the G20’s efforts as it endeavors to strengthen institution-building in trade and investment, formulate the strategy for global trade growth as well as the guiding principles for global investment policy-making, consolidate the multilateral trading regime and reaffirm its commitment against protectionism. We hope that these measures will open up greater market and scope for the development of individual countries and help revitalize trade and investment, the two major engines of growth. Third, we need to build an interconnected world economy to forge interactive synergy. In the age of economic globalization, countries are closely linked in their development and they all rise and fall together. No country could seek development on its own; and the one sure path is through coordination and cooperation. We need to realize interconnected development by promoting common development of the world economy. We need to increase the interconnection of our rules and policies. We need to maximize the positive spillovers and minimize the negative external impacts through coordination of our macroeconomic policies. At the same time, we also need to encourage mutual learning to address asymmetries in systems, policies and standards. We need to enhance the interconnection of our infrastructure. China has put forward the global infrastructure connectivity alliance initiative to encourage multilateral development banks to adopt joint declaration of aspirations and give greater funds and intellectual support to infrastructure projects to speed up the process of global infrastructure connectivity. We need to promote win-win interconnection, foster and improve the global value chain and increase the participation of parties concerned so as to create a chain of win-win global growth. Fourth, we need to build an inclusive world economy to strengthen the foundation for win-win outcomes. We need to eradicate poverty and hunger and advance inclusive and sustainable development. This is not just a moral responsibility of the international community. It also helps unleash immeasurable effective demand. According to relevant statistics, the world’s Gini coefficient has reached around 0.7, higher than the recognized alarm level which stands at 0.6. This is something we must pay great attention to. At the same time, global industrial restructuring has had its impact on different industries and communities. We need to face this issue squarely and properly handle it in order to make economic globalization more inclusive. To realize the above goal, this year’s G20 has, for the first time, put the issue of development front and center of the global macro policy framework. The first action plan has been formulated for implementing the 2030 Agenda for Sustainable Development, and for the first time, cooperation is being carried out to support African countries and LDCs in their industrialization. All these are moves of pioneering significance. The parties have all committed themselves to working for an early entry into force of the Paris Agreement on climate change. We have also formulated joint action plans on energy accessibility, energy efficiency, renewable energy and entrepreneurship, and have strengthened cooperation on food security and agriculture. We care for the needs of different social strata and communities, especially the needy, and encourage discussions among countries concerned on public administration and adjustment of redistribution policies. We hope to convey a message to the international community that the G20 works for the interest of not just its 20 members, but the whole world. We will work to ensure that growth and development benefit all countries and peoples and that the livelihood of all people, especially those in developing countries, will get better day by day. First, we can work together to build a peaceful and stable international environment. History has proven time and again that without peace, there will be no development and without stability, there will be no prosperity. Countries are all closely linked in their security. No country can develop solely on its own or resolve all problems without working with others. It is important to reject the outdated Cold War mentality and build a new concept of common, comprehensive, cooperative and sustainable security. We call on all countries to cherish the hard-won peace and tranquility and play a constructive role in maintaining global and regional stability. All countries should uphold the purposes and principles of the UN Charter, adhere to multilateralism, settle disagreements and disputes through dialogue and consultation, seek consensus and dissolve tensions rather than doing the opposite and make the international order more just and equitable. To seek harmony and coexistence is in the genes of the Chinese nation throughout history. It represents the very essence of Eastern civilization. China is committed to the path of peaceful development. The logic that a strong country is bound to seek hegemony no longer applies and the willful use of force will lead to nowhere. China is the biggest contributor of peacekeepers among the permanent members of the UN Security Council. The proud sons of the Chinese people are among the UN peacekeepers that gave their lives to the mission of peace in Mali and South Sudan not long ago. China will continue to fulfill its international obligations and serve as the builder and defender of world peace. Second, we can work together to build a global partnership for win-win cooperation. In the era of economic globalization, there is no island completely cut off from the rest of the world. As members of the global village, we need to cultivate the awareness of a community of shared future for mankind. Partnership is the most valuable asset of the G20 and the choice of all countries as they rise up together to global challenges. We need to seek common ground while shelving and narrowing differences in an effort to build a new type of international relations featuring win-win cooperation. All countries, big or small, strong or weak, rich or poor, must treat each other as equals. We need to help each other achieve sound development as we work to ensure our own development. The world will be a better place only when everyone is better off. We need to step up communication and coordination on major global issues and provide more public goods for the fostering of a peaceful, stable and prosperous world. We need to institute and steadily improve macroeconomic policy coordination mechanisms, be mindful of the related and chain effects of our domestic policies and ensure their positive rather than negative spillovers. We need to rely on partnerships, uphold the vision of win-win results, step up practical cooperation across the board, continue to enrich and expand cooperation and ensure that such cooperation delivers outcomes to meet people’s expectations. We need to enable people of different countries, cultures and historical backgrounds to deepen exchanges, enhance mutual understanding and jointly build a community of shared future for mankind. Third, we can work together to improve global economic governance. As a Chinese saying goes, people with petty shrewdness attend to trivial matters while those with greater wisdom attend to governance of institutions. As the world economic situation changes, it is necessary that global economic governance remains relevant and adaptive to the changing times. Global economic governance should be based on equality, better reflect the new realities of the world economic landscape, increase the representation and voice of emerging markets and developing countries and ensure that all countries have equal rights, equal opportunities and equal rules to follow in international economic cooperation. Global economic governance should embrace openness. It should be based on open concepts, open policies and open mechanisms so as to adapt to the changing situation. It should be open to constructive suggestions and the recommendations and aspirations of different quarters of society. It should encourage active participation and integration of various parties, reject exclusive arrangements and avoid closed governance mechanisms and fragmentation of rules. Global economic governance should be driven by cooperation, as global challenges require global responses, and cooperation is the necessary choice. Countries need to step up communication and coordination, accommodate each other’s interests and concerns, and work together to discuss the rules, build mechanisms and meet challenges. Global economic governance should be a mechanism of sharing. It should be about participation by all and benefits for all. Instead of seeking dominance or winner-takes-all results, it should encourage the sharing of interests and win-win prospects. At this stage, global economic governance should focus on the following: jointly ensure equitable and efficient global financial governance and uphold the overall stability of the world economy; jointly foster open and transparent global trade and investment governance to cement the multilateral trading regime and unleash the potential of global cooperation in economy, trade and investment; jointly establish green and low-carbon global energy governance to promote global green development cooperation; and jointly facilitate an inclusive and interconnected global development governance to implement the UN 2030 Agenda for Sustainable Development and jointly advance the well-being of mankind. Since the G20 has convened ten summits, it has come to a crucial juncture of development. One of the goals of China’s G20 Presidency is to enable the G20 to transform from a crisis response mechanism focusing on short-term policies to one of long-term governance that shapes medium- to long-term policies, and solidify its role as the premier forum for international economic governance. The business community is the main driver of growth. By convening the B20 Summit on the eve of the G20 Summit, China wishes to fully pool the ideas and wisdom of the business community. I am pleased to see that the business people from G20 countries have taken an active part in the G20 process throughout the year. Together with people of other communities, you have presented your views and suggestions on financing growth, trade and investment, infrastructure, SME development, employment, anti-corruption and other subjects of G20 priorities. You have provided important recommendations for G20 policy making and contributed positively to the Hangzhou Summit. The tidal bore is sweeping up the Qiantang River these few days. As an ancient Chinese poem reads, “The tide riders surf the currents; the flags they hold up never get wet”. I, like all of you, look forward to a G20 that will ride the tides in the world economy. I believe that, with various parties working together, the Hangzhou Summit will certainly achieve success. In conclusion, I wish the B20 Summit a full success.